Geneva workshop, originally uploaded by dgray_xplane. Quick update: Here are some upcoming events where I will be speaking or facilitating in the next couple of months. 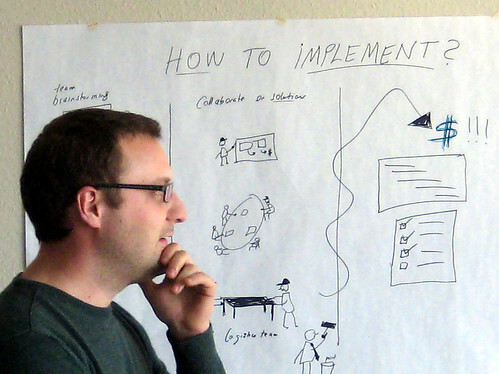 The photo shows Laurent Haug of LIFT fame in a previous workshop that I conducted in Geneva. I'll be speaking on a panel at the SXSW Interactive Festival in Austin, Texas. The panel is called Shift Happens: Moving from Words to Pictures. More. I'll be speaking and facilitating at the VizThink conference in San Jose, California. More. I'll be facilitating the launch of the Ontario College of Art and Design's Strategic Innovation Lab in Toronto. How to draw a car, originally uploaded by dgray_xplane. 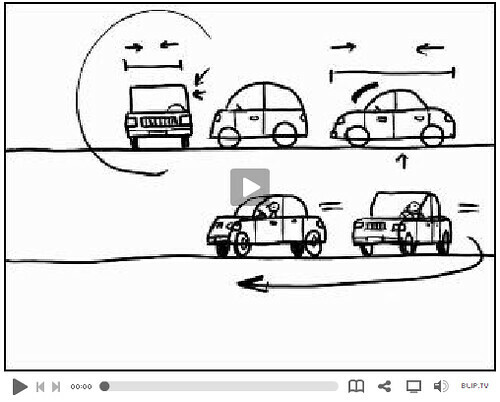 I just posted a short video drawing lesson on how to draw a car here. I chose a car because it's one of those things that people quite often need to draw and often struggle with. I show how you can use simple shapes to make something that conveys the idea pretty clearly. The same principles will apply to other kinds of drawings. Let me know if you'd like to see more of these. Enjoy!